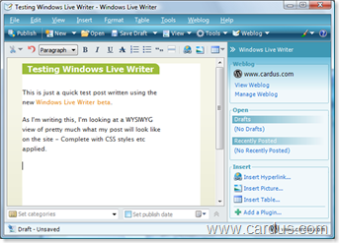 This is just a quick test post written using the new Windows Live Writer beta. As I’m writing this, I’m looking at a WYSIWYG view of pretty much what my post will look like on the site – Complete with CSS styles etc applied. 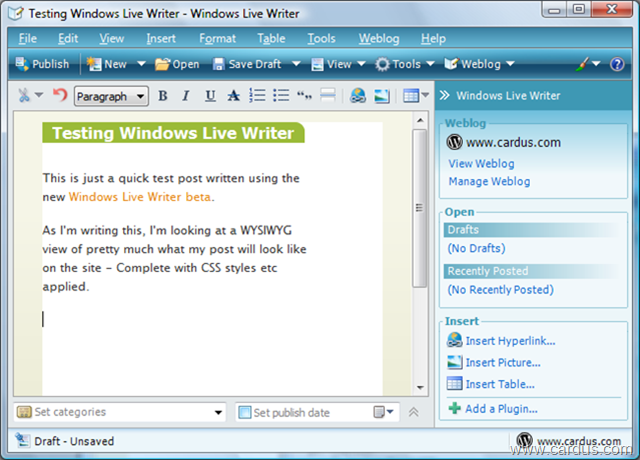 Seems pretty funky and so far is much nicer to use than the WordPress built-in editor.